Please be aware that the rates indicated are for estimation purposes only and are subject to change upon review of the job. Investment / Securities, Business/Commerce (general) No comment. Investment / Securities, Finance (general), Business/Commerce (general) No comment. Law: Contract(s), Tourism & Travel No comment. Business/Commerce (general), Law: Contract(s), Metallurgy / Casting No comment. These Terms and Conditions constitute a legally binding agreement between the Client and CollegeBoard regarding services rendered or to be rendered by CollegeBoard. In the event of conflict with any communications, proposals, contracts, marketing materials, or agreements, these Terms and Conditions shall control. Submission of source materials (as defined below) constitutes acceptance of all these terms and conditions. 1.1 "CollegeBoard" means College Board, Ltd.
1.3 "Source Materials" means the documents, materials, and other items furnished to CollegeBoard for translation hereunder. 1.4 "Deliverable" means the final, translated version of the Source Materials provided by CollegeBoard to the Client. CollegeBoard reserves the right to adjust pricing and/or delivery estimates upon receipt and evaluation of the final Source Materials to be translated. Clients shall be advised by CollegeBoard of the estimate of additional charges or change of delivery date prior to performing the translation. Unless the Client provides an "Approved Glossary" and instructs CollegeBoard to use it for the job at hand, CollegeBoard shall translate specialized terms by their usual and conventional meanings, and otherwise make decisions based on CollegeBoard' standard production procedures. All Source Materials shall be legible and shall be delivered to CollegeBoard in such format(s) and such time as CollegeBoard shall specify. CollegeBoard shall not be responsible for delay in delivery due to failure to deliver any Source Materials in a timely manner or proper format. All modifications or additions to the Source Materials shall be submitted to CollegeBoard clearly indicating changes and where they occur in relation to the previously submitted copy. Pricing and scheduling for incorporation of Source Material modifications or additions into the target language translation(s) in progress shall be determined based on extent and implication of changes and percentage of work already completed. Client shall be advised by CollegeBoard of the estimate of additional charges before the changes or additions are made by CollegeBoard. Outright mistranslation, omission, typo, grammatical mistake, non-adherence to any approved glossary. Client agrees that CollegeBoard shall have no liability or obligation regarding errors in translations unless CollegeBoard receives written notification of the error(s) within fifteen (15) days following delivery of the Deliverable to Client. CollegeBoard' sole obligation with respect to errors shall be the obligation to correct the Deliverable at no cost to Client. Delivery dates shall not be valid unless they have been expressly confirmed by CollegeBoard in writing. Should a delay in delivery by CollegeBoard occur, CollegeBoard shall first be granted a reasonable additional period for completion. Only upon expiration of this additional period without completion of performance shall the customer be entitled to demand cancellation of the contract or reduction of the price. Any further claims are excluded. The customer remains liable for payment for the work performed by CollegeBoard up to the time of the customer's notice of cancellation. The customer shall not be entitled to claim cancellation or reduction if the delay is due to force majeure or other circumstances over which CollegeBoard has no control. A job is considered delivered when CollegeBoard either emails it to the Client, or emails a notification that it has been uploaded to the CollegeBoard FTP site for download by the Client. CollegeBoard shall not be liable for any incidental, special, or consequential damages or loss of any nature whatsoever, nor for any claim against Client by any other person or entity, arising from or relating to services rendered by CollegeBoard, regardless of the nature of the claim or the form of the cause of action, whether in contract or in tort, or otherwise, and even if CollegeBoard has been advised of the possibility of such damages, anything contained in related proposals and other documentation notwithstanding. CollegeBoard shall not be responsible for any loss or damage to, nor the return of, any Source Materials. CollegeBoard represents and warrants that it shall perform the translation in a manner consistent with its standard production procedures. Client represents and warrants (i) that it owns or is licensee of the Source Materials and all components thereof, and (ii) that translation of the Source Material and publication, distribution, sale or other use of the Deliverable shall not infringe upon any copyright, trademark, patent, or other right of any third party. The foregoing warranties of CollegeBoard are in lieu of all other warranties, express or implied, including any implied warranty of merchantability or fitness for a particular purpose. CollegeBoard makes no warranty that use of the Deliverables or use of any information relating thereto or contained therein shall not infringe any patent, copyright, or trade secret or any other proprietary right of any third party. In the event that Client breaches this Agreement, CollegeBoard shall have the right to terminate whereupon Client shall pay the full purchase price provided hereunder for the services completed and for all work in progress. In the event that CollegeBoard breaches this Agreement, Client shall have the right to terminate whereupon CollegeBoard shall return to Client all Source Materials and data supplied by Client together with all translated product that exists as of the date of termination and Client shall pay the full purchase price provided hereunder for the services completed and for all work in progress. Neither party shall be deemed to be in breach or default of any provision of this Agreement by reason of a delay or failure in performance due to any causes beyond its control. (ii) inventions, methodology, innovations, know-how, and databases developed by CollegeBoard in the course of translating the Source Materials, including any and all patent rights, copyrights, know-how, and trade secrets therein. Provided that the Deliverables and copyright, know-how and trade secrets therein shall remain the property (but not the risk) of CollegeBoard until CollegeBoard shall have been paid in full for such Deliverables. The nature of the work performed and any information transmitted to CollegeBoard by Client shall be confidential. CollegeBoard shall not without the prior consent of client, divulge or otherwise disclose such information to any person other than authorized employees or authorized subcontractors of CollegeBoard whose job performance requires such acts. The provisions of this paragraph shall not apply to the extent CollegeBoard is required by law to divulge such information or to the extent such information is or becomes a matter of public knowledge other than by disclosure by CollegeBoard. Client shall indemnify, defend, and hold harmless CollegeBoard, its owners, directors, officers, employees, representatives, agents, successors and assigns from and against any and all losses, damages, costs and expenses, including reasonable legal fees, resulting from, arising out of or incident to any suit, claim or demand based on (i) the performance of this Agreement by either party, (ii) Client's breach of the covenants, representations and warranties made by it herein, (iii) the manufacture, advertisement, promotion, sale or distribution of any items by Client, (iv) any taxes and from any duties, levies, tariffs, or like fees that may be imposed by any government or collective authority upon manufacture, advertisement, promotion, use, import, licensing or distribution of items by Client, or (v) any claim that any element of the Deliverable infringes any copyright, trademark, patent, or other proprietary right. Full payment is required on all projects under $3,000 unless credit arrangements are made. A 60% deposit is required on all projects over $3,000 unless credit arrangements are made, and an 80% deposit is required on projects of $10,000 or more unless credit arrangements are made. Credit arrangement may include a $3,000 services retainer that will be reduced from the total due. Payment methods shall be by either of the following methods. (i)Where no credit arrangement has been agreed between CollegeBoard and its customer payment shall be made by credit card using encryption communications ensuring that credit card details are passed in a secure format. Credit card details shall be recorded by CollegeBoard when customers first register an order. Customers shall be required to register their credit card number when registering subsequent orders for validation by CollegeBoard. CollegeBoard shall transact payments with the appropriate credit card companies in all instances. Where non-validation occurs, customers shall be contacted by CollegeBoard for order confirmation and payment details prior to the translation process. (ii) Where credit arrangements have been agreed between CollegeBoard and its customer, the customer shall make payments to CollegeBoard for all agreed services within thirty (30) days of receiving a valid invoice from CollegeBoard. Such invoices are usually distributed by CollegeBoard to the Client via email. If the Client is late in making payment, CollegeBoard is entitled to charge interest at the rate of 2 % per month or part thereof until the entire amount due is received. The customer alone is liable for payment; payments by other parties shall be accepted conditionally, only if they are received on time in the full amount of the invoice and the identity of the customer, the invoice number and the order number are clearly recognizable. The customer has no right to retain any portion of a payment. The customer may not offset an invoice against other claims unless these are undisputed or legally enforceable. Should CollegeBoard need to engage the services of a law firm, solicitor, or debt collection agency to assist in the collection of the payment from the Client, then the client agrees to pay CollegeBoard the full costs and commissions charged by the law firm, solicitor, or debt collection agency for such services plus an additional administration fee of US$2,000 to compensate CollegeBoard for the additional administrative and management time required to collect the outstanding payment. This Agreement shall be governed by, enforced and construed in accordance with the laws of the United States of America. Настоящие условия составляют имеющий обязательную юридическую силу договор между Клиентом и компанией «КолледжБорд» (CollegeBoard) об услугах, которые предоставляются или будут предоставляться компанией «КолледжБорд». В случае противоречия с любыми сообщениями, предложениями, договорами, маркетинговыми материалами или соглашениями настоящие Условия имеют преимущественную силу. Представление исходных материалов (согласно данному ниже определению) означает принятие всех настоящих условий. 1.2 «Клиент» означает физическое или юридическое лицо, исполняющее настоящий договор. 1.3 «Исходные материалы» означают документы, материалы и другие объекты, представленные компании "КолледжБорд" на перевод по настоящему договору. 1.4 «Готовый перевод» означает окончательную редакцию перевода исходных материалов, предоставляемую компанией "КолледжБорд" Клиенту. Компания «КолледжБорд» оставляет за собой право корректировать стоимость и/или предполагаемые сроки поставки перевода после получения и оценки окончательной редакции подлежащих переводу исходных материалов. Клиенты уведомляются компанией "КолледжБорд" о предполагаемых суммах дополнительной оплаты или изменении даты поставки до выполнения перевода. Если Клиент не предоставит "одобренный глоссарий" и не даст указание компании «КолледжБорд» использовать его для текущего перевода, компания "КолледжБорд" будет переводить специализированные термины их обычными и традиционными значениями, и в остальном будет руководствоваться принятыми ею методиками и стандартами работы. Все исходные материалы должны представляться в «КолледжБорд» в удобочитаемом виде и в таком формате или таких форматах и в такой срок, как будет установлено компанией «КолледжБорд». Компания "КолледжБорд" не несет ответственности за задержку поставки, вызванную несвоевременным представлением исходных материалов или представлением их в ненадлежащем формате. Все изменения или дополнения к исходным материалам должны представляться в «КолледжБорд» с четким указанием измененных частей и их расположения относительно ранее представленной редакции. Стоимость и сроки включения изменений или дополнений к исходным материалам в перевод (переводы), находящийся (находящиеся) в работе, определяются на основании объема и характера изменений с учетом процентной доли уже выполненной работы. Клиенты уведомляются компанией «КолледжБорд» о предполагаемых суммах дополнительной оплаты до внесения изменений или дополнений компанией «КолледжБорд». Явно неверный перевод, пропуски, опечатки, грамматические ошибки, несоответствие одобренному глоссарию. Клиент согласен с тем, что компания «КолледжБорд» не несет ответственности или обязательств за ошибки в переводах, если «КолледжБорд» не получит письменное уведомление об ошибке (ошибках) в течение 15 (пятнадцати) дней после передачи готового перевода Клиенту. Единственным обязательством компании «КолледжБорд» в отношении ошибок является обязательство исправить готовый перевод бесплатно для Клиента. Сроки поставки действительны только в том случае, когда они прямо подтверждены компанией «КолледжБорд» в письменном виде. В случае задержки поставки компанией «КолледжБорд», сначала ей должен быть предоставлен разумный дополнительный срок для завершения работы. Только если по истечении такого дополнительного срока работа не будет выполнена, заказчик вправе потребовать расторжения договора или уменьшения цены. Какие-либо дальнейшие претензии не принимаются. Клиент обязан оплатить работу, выполненную компанией «КолледжБорд» до момента уведомления клиентом о расторжении договора. Клиент не вправе требовать расторжения договора или снижения цены, если задержка вызвана форс-мажорными или иными обстоятельствами, не зависящими от компании «КолледжБорд». Перевод считается поставленным, когда компания «КолледжБорд» вышлет его по электронной почте Клиенту или направит по электронной почте уведомление, что он выгружен на FTP-сайт компании «КолледжБорд» для загрузки Клиентом. Компания «КолледжБорд» не несет ответственности за непредвиденные, реальные или косвенные убытки или ущерб любого рода, равно как за любое исковое требование к Клиенту со стороны любого другого физического или юридического лица, проистекающее из услуг или относящееся к услугам, оказанным компанией «КолледжБорд», независимо от характера искового требования или вида основания для искового требования – договора, деликта или иного, даже если компания «КолледжБорд» была уведомлена о возможности таких убытков.Независимо от содержания соответствующих предложений и другой документации, компания «КолледжБорд» не несет ответственности за утрату или повреждение, равно как за возврат любых исходных материалов. Компания «КолледжБорд» заявляет и гарантирует, что она выполнит перевод в соответствии с принятыми ею методиками и стандартами работы. Клиент заявляет и гарантирует, (i) что он является владельцем или лицензиатом исходных материалов и всех их составных частей, и (ii) что перевод исходных материалов и публикация, распространение, продажа или иное использование готового перевода не нарушают авторских прав, товарных знаков, патентов или других прав третьих сторон. Изложенные выше гарантии компании «КолледжБорд» заменяют собой все другие гарантии, прямые или подразумеваемые, включая любую подразумеваемую гарантию реализуемости или пригодности для конкретной цели. Компания «КолледжБорд» не дает гарантии, что использование готового перевода или любой относящейся к нему или содержащейся в нем информации не нарушает патентов, авторских прав, производственных секретов или любых иных имущественных прав третьих лиц. В случае нарушения Клиентом настоящего Договора компания «КолледжБорд» вправе расторгнуть Договор, после чего Клиент обязан оплатить предусмотренную настоящим Договором полную стоимость оказанных услуг и частично выполненной работы. В случае нарушения компанией «КолледжБорд» настоящего Договора, Клиент вправе расторгнуть Договор, после чего компания «КолледжБорд» обязана вернуть Клиенту все представленные Клиентом исходные материалы и данные вместе с переводом в объеме, выполненном на дату расторжения, а Клиент обязан оплатить предусмотренную настоящим Договором полную стоимость оказанных услуг и частично выполненной работы. Ни одна из сторон не считается нарушившей или не выполнившей какое-либо положение настоящего Договора по причине задержки или срыва его выполнения по не зависящим от нее причинам. (ii) изобретения, методы, новшества, ноу-хау и базы данных, разработанные компанией «КолледжБорд» в процессе перевода исходных материалов, включая все патентные и авторские права, ноу-хау и производственные секреты в них. При условии, что готовый перевод и авторские права, ноу-хау и производственные секреты в нем остаются собственностью (но не риском) компании «КолледжБорд» до тех пор, пока компания «КолледжБорд» не получит полную сумму оплаты за готовый перевод. Характер выполняемой работы и любые сведения, передаваемые компании "КолледжБорд" Клиентом, считаются конфиденциальными. Компания "КолледжБорд" не вправе без предварительного согласия клиента разглашать или иным образом раскрывать такие сведения каким-либо лицам помимо уполномоченных работников или уполномоченных субподрядчиков компании "КолледжБорд", которым они необходимы для работы. Положения настоящего пункта не применяются в той степени, в которой компания "КолледжБорд" обязана предоставлять такие сведения по закону, или в той степени, в которой такие сведения являются или становятся общеизвестными помимо компании "КолледжБорд". Клиент гарантирует компании "КолледжБорд", ее владельцам, директорам, должностным лицам, работникам, представителям, агентам и правопреемникам возмещение любых убытков, ущерба, издержек и расходов, в том числе обоснованных судебных издержек, вызванных или обусловленных любыми судебными разбирательствами, исками или требованиями, основанными на (i) исполнении настоящего Договора любой из сторон, (ii) нарушением Клиентом принятых им по Договору обязательств, заявлений и гарантий, (iii) изготовлении, рекламировании, продвижении, продаже или распространении любых объектов Клиентом, (iv) налогах и сборах, пошлинах, тарифах или подобных платежах, которые могут взиматься государственными или коллективными органами власти при изготовлении, рекламировании, продвижении, использовании, импорте, лицензировании или распространении объектов Клиентом, либо (v) исках о нарушении каким-либо элементом готового перевода авторских прав, товарных знаков, патентов или других прав собственности. По всем проектам стоимостью менее 3000 долларов США требуется полная оплата, если не заключено соглашение о предоставлении кредита. По всем проектам стоимостью более 3000 долларов США требуется авансовый платеж в размере 60% суммы, если не заключено соглашение о предоставлении кредита, и авансовый платеж в размере 80% суммы по проектам стоимостью 10000 или более долларов США, если не заключено соглашение о предоставлении кредита. Предоставленный кредит может включать в себя аванс за услуги в размере 3000 долларов США, вычитаемый из общей суммы, подлежащей уплате. Оплата производится одним из следующих способов. (i) Если между Компанией «КолледжБорд» и ее клиентом не заключено соглашение о предоставлении кредита, оплата производится кредитной карточкой с использованием защищенных каналов связи, обеспечивающих безопасную передачу данных кредитной карточки. Данные кредитной карточки регистрируются компанией "КолледжБорд" при оформлении первого заказа клиентом. Клиентам необходимо регистрировать номера своих кредитных карточек при оформлении последующих заказов для их авторизации компанией "КолледжБорд". Во всех случаях компания "КолледжБорд" проводит платежные операции через надлежащие компании, осуществляющие операции по кредитным карточкам. Если авторизация не будет успешной, компания "КолледжБорд" свяжется с клиентом для подтверждения заказа и платежных реквизитов до начала перевода. (ii) В случае, когда между компанией "КолледжБорд" и ее клиентом заключено соглашение о предоставлении кредита, клиент обязан производить платежи компании "КолледжБорд" за все согласованные услуги в течение 30 (тридцати) дней после получения надлежаще оформленного счета от компании "КолледжБорд". Такие счета обычно высылаются компанией "КолледжБорд" Клиенту по электронной почте. В случае задержки оплаты Клиентом, компания "КолледжБорд" вправе начислять проценты по ставке 2 % в месяц или его часть до получения полной суммы, причитающейся к уплате. Клиент несет единоличную ответственность за оплату; платежи от других лиц принимаются при условии, что они производятся в срок и на полную сумму счета, с четким указанием личных данных клиента, номера счета и номера заказа. Клиент не вправе удерживать какую-либо часть оплаты. Клиент не вправе уменьшать сумму счета на сумму других требований, кроме случаев, когда последние являются бесспорными или подлежащими принудительному исполнению. Если компании "КолледжБорд" для взыскания платежа с Клиента понадобится прибегнуть к услугам юридической фирмы, адвоката или агентства по взысканию долгов, клиент соглашается полностью оплатить компании "КолледжБорд" все ее расходы и комиссионные вознаграждения, уплаченные юридической фирме, адвокату или агентству по взысканию долгов за эти услуги, плюс дополнительный административный сбор в размере 2000 долларов США в качестве компенсации компании "КолледжБорд" за дополнительные административно-управленческие издержки, потребовавшиеся для взыскания суммы задолженности. Настоящий Договор регулируется, исполняется и толкуется в соответствии с законами Соединенных Штатов Америки. Translation education Master's degree - Nizhni Novgorod Linguistic University, Translation Dept. Experience Years of translation experience: 46. Registered at ProZ.com: Oct 1999. Professional practices Vladimir Morozov endorses ProZ.com's Professional Guidelines. /General. MA in Translation of English and French from a leading linguistic University. 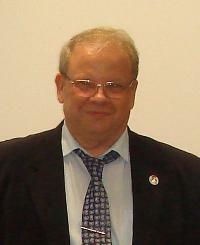 Expert translator of the Translators Union of Russia, ProZ.com Certified Professional. Average rates from Euro 0.06 to 0.09 per source word depending on type of text, urgency, amount of formatting, etc. Cellphone number: +7 981 469 71 90, may be also dialed as a landline number: 007(4012)69 71 90. Home phone, in the unlikely event the mobile number is inaccessible: 007(4012)986482.